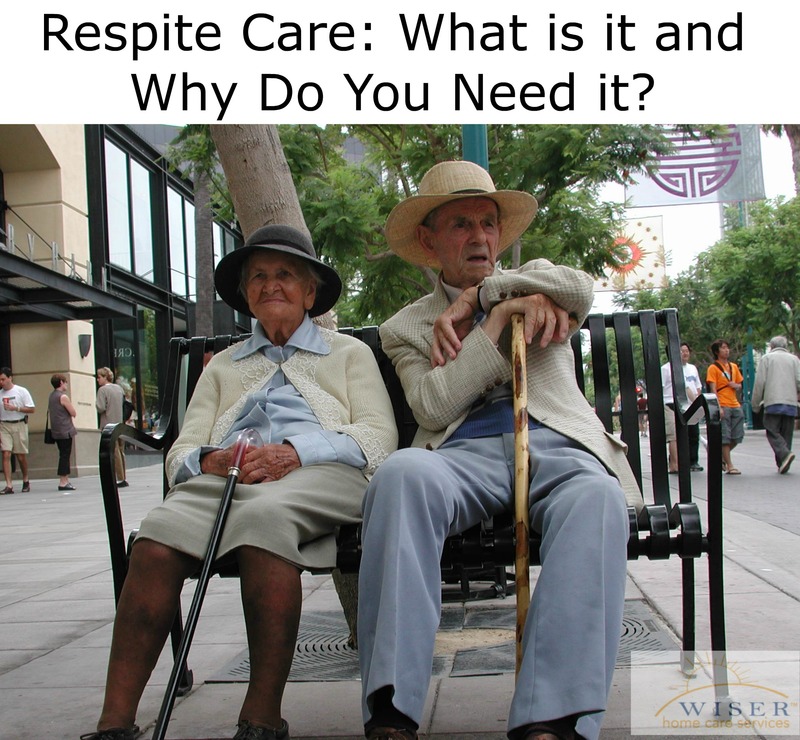 Respite Care: What is it and Why Do You Need it? Whether it is by choice or due to tight finances, many people choose to forgo putting an elderly or sick loved one in a care facility and opt to take on the responsibility of caregiver. In the United States alone it is estimated that nearly 44 million people care for their elderly parents and/or relatives. While caring for a loved one can be fulfilling and rewarding, it is also often stressful and demanding. Many of these family member caregivers balance jobs, families of their own, their personal lives and caring for the sick or elderly relative. Between all the responsibilities it is easy to see how one may feel like there is not enough hours in the day. In fact, there usually isn’t enough hours in the day to juggle all of the aforementioned responsibilities. Nonstop care taking is very emotionally and physically draining and can lead to some health issues for the caretaker themselves. Wiser Home Care Services understands how draining caring for a loved one can be. We strongly believe that in order to be an effective and patient caregiver one must take care of oneself. No matter how much we love the people we are caring for and may want to care for them, it is still necessary to have breaks. To help alleviate the stress, Wiser Home Care Services offers in-home respite care so the family can take care of other responsibilities and obligation or just have some down time to recharge. Respite care services give you a chance to leave home knowing that your loved one is in good hands. Setting up respite care is easy, it can be a few hours a week to run errands, or 24-hour care so you can take a vacation or go on a business trip. If you care for an elderly loved one and would like help developing a care plan of any kind, please feel free to contact us. Wiser Home Care Services can help your family establish a care plan to personally accommodate your loved one’s needs and help prevent falls and fall-related injuries.